*Affiliate links are included in this post, for your shopping convenience. Please click here to read my full disclosure policy. Have you seen this? It’s a relatively new line of chalk paint and waxes from Deco Art, called Americana Decor Chalky Finish paint, and I just finished painting the cutest set of nesting tables with it. 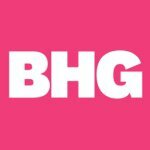 I know I’m probably a little bit late to the game, but can I just say; I’m soooooo excited to have this easier-to-access alternative to the Annie Sloan Chalk Paint and the other boutique brand chalk paints. And, while I’m certainly not an expert on Annie Sloan Chalk Paint, I am a huge fan and I think I’ve used it enough to make a fairly good comparison between it and the Americana Decor brand. I had been eyeing this paint at my local Home Depot for at least a couple of months, but I couldn’t justify buying it when I still had quite a bit of ASCP sitting at home, along with a couple of unfinished projects awaiting a paint job. But the day finally came when, right before starting on these nesting tables, I realized I didn’t have enough ASCP to finish them all. My nearest stockist is a 20 minute drive away, and not open on Sundays (which is the day motivation struck). What’s a girl to do? My mind immediately went back to the Americana Decor paint and even though I was skeptical, I figured it was worth a try. I changed out of my ragedy sweat pants and headed to the nearest Home Depot (only 5 minutes away, and open every day of the week). When I arrived, the display was in the midst of being changed out, so the usual paint selection was pretty depleted. There were only a couple of colors left on the shelf that appealed to me, so I did eenie, meenie, miney, moe and ended up with Everlasting, which is almost a dead-ringer for ASCP Pure White. At only $8.48 for 8 ounces, I also grabbed a container of the clear paste wax, and headed for home, happy that I only spent a fraction of the price I would have spent on ASPC. Once I was back at home, and changed back into my sweat pants, I set to work on my tables. I love that the lids on the Americana paint are screw-top, meaning I didn’t have to hunt down my lid-topper-popper, or a flat head screwdriver to open my paint. The consistency of this paint is a little bit thicker than the ASPC, but it’s still creamy and goes on like butter. My wood was pretty dark to begin with and I wanted good coverage, so I knew I would have to paint at least two coats. I was a bit sad though, when two still wasn’t enough and I had to do yet a third coat. In all fairness, because the color is almost an exact match for ASCP Pure White, I painted out the smallest tabletop in the bit of ASCP I had left, to compare coverage. I ended up doing three coats of paint with ASCP, as well. I would say both paints offer the same amount/quality of coverage. One thing I didn’t care for about the Americana paint – it seemed to show fairly prominent brush strokes, even once dry. In comparison, ASCP seems to self-level a bit as it dries, leaving very few brush marks. I ended up taking some fine grit sandpaper and sanding out some of the more noticeable brush marks, which kind of defeats the whole purpose of using chalk paint – little to no prep, including sanding. The brush strokes actually worked to my benefit on this project, as I later used an antiquing glaze which ended up settling into the brushstrokes, helping create the aged look I was after; but if you are looking for a smooth finish, this would be a problem. On the second coat of paint I added a little bit of water to the Americana paint and that seemed to help reduce the brush marks. I did notice while sanding that the Americana paint produced considerably less “dust” than the ASCP usually does, which is a plus, in my book! Applying a thin coat of wax before sanding cuts down considerably on the amount of dust produced, but I don’t like “gumming up” my sandpaper with gobs of wax and/or wasting product, so I always sand before waxing. Once my tables were sanded, it was time to move onto waxing. Although I like the ASCP wax, I still don’t feel like I’ve quite mastered the application technique. In comparison, the Americana wax is actually a liquid and although I thought it might be too messy, this was not the case. I loved using this wax! I started out using a regular ole’ paint brush to apply the wax, then going back over my piece with a rag to wipe off the excess, but I soon found that this was not necessary. I felt like I had better control using the rag for application (learn from my mistake and make sure you use gloves). The wax wiped on perfectly, leaving just enough drying time to get the coverage just right. I buffed out a small spot, just to see how easy the buffing portion went, and I must say, it was much easier to buff to a shine than the ASPC wax. However, I didn’t want a shiny look for these tables, so I re-applied wax to the shiny area, and let all of the wax dry to a matte finish. I could have stopped there, but I decided the tables needed a little something extra so I used some antiquing glaze to really make the curves on these pieces pop. I didn’t have any ASCP dark wax on hand, and the Home Depot didn’t have any Americana dark wax in stock, so I used a glazing medium that I already had in my stash. The glaze went on well over the clear wax, allowing me to work the glaze into all of those nooks and crannies. Like I mentioned earlier, this is where those brush strokes came in handy. The glaze settled into the brush strokes and really added to the look I was going for. Any excess came off well with a few swipes from a damp rag. (Note: for this particular glaze, it is important to apply the glaze only after applying the clear wax otherwise it will soak into the chalk paint and you will not be able to “work” the glaze). Once I had the pieces antiqued to my liking, I applied one more coat of the clear wax, to seal and protect the glaze, and my tables were finished! Annie Sloan Chalk Paints and waxes are only available at select stockists. There are only two in my area (within a 20 minute drive, which is as far as I’m willing to go). Americana Decor Chalky Finish paints and waxes are more readily available. They can be found at Home Depot, Lowes, Michaels, Hobby Lobby and Joanne Fabrics, to name a few of the larger chains. They can also be ordered online and delivered directly to your door. ASCP costs $39.95 per quart – this price is at my local stockist. It seems individual stockists charge different prices so you may be able to find it cheaper in your area. ASCP clear wax costs $27.95 per 16.9 ounces - again, this is at my local stockist. Each stockist charges differently. Americana Decor paint is less expensive, at $33.92 for one quart. Paints can also be ordered online in 2, 4, 8 and 16 oz. sizes. Americana Decor wax is less expensive when purchased at a retailer, costing the same price as the paint ($33.92), online it’s priced at $12.00/quart. ASCP paint comes in 30 inter-mixable colors, which offers endless color possibilities. Waxes are available in dark brown and clear. American Decor paint comes in 29 inter-mixable colors, which also means the possibilities are endless. Waxes are available in a dark brown, light brown and clear. ASCP paint is smooth and creamy, very easy to work with. I used a Purdy brand paint brush to apply the paint, which worked well for me. ASCP stockists carry special paint brushes for applying paint, but they can be pricey. It would probably be worth the investment if you do a lot of furniture painting. ASCP wax is not quite as easy to work with. It is a durable wax but takes some time to master the application – which I am still working on. The dark wax gives a great aged look to furniture but I haven’t quite mastered the application technique for this, either. I use a wax brush for applying this wax; not an Anne Sloan wax brush but a less expensive one purchased at Lowes. Perhaps it would be easier to apply with the Anne Sloan brand brush? Again, I’m just not willing to make that investment. Americana Decor paint was smooth and creamy, although a little thicker than ASCP. I used a Purdy brand paint brush to apply the paint, and that worked well. Americana Decor does sell special brushes online, if you prefer to go that route. 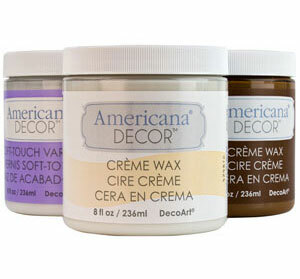 Americana Decor wax comes in a liquid and is very easy to apply with either a brush or a rag. Buffs to a smooth, shiny finish, or leave as-is for a matte finish. I have only used the clear wax and cannot give my opinion on the dark waxes. Again, I used a regular paint brush, then switched to a rag to apply. Both methods worked well. Americana Decor sells special wax brushes online. ASCP paint has amazing coverage. I have painted several large pieces of furniture with just one quart of paint. 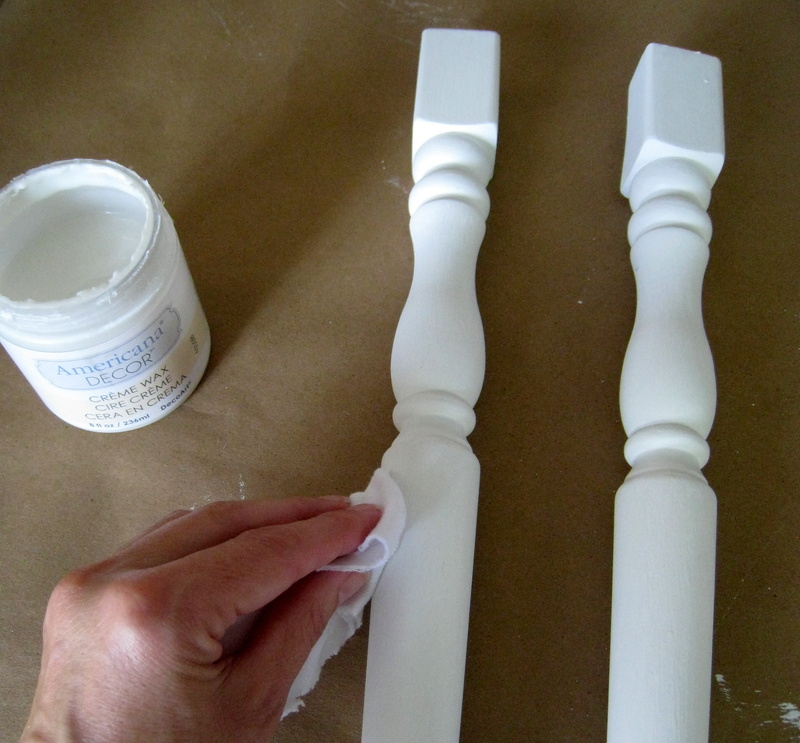 More coats are needed when painting a lighter color over a darker color. Anne Sloan clear wax tends to go a long way, too. I usually use only a small amount on my paint projects. American Decor paint also has amazing coverage. I did three coats of paint on the two larger nesting tables, and I only used 1/2 of the container, roughly 4 ounces. I’m sure I wouldn’t have needed as many coats if I were painting over a similarly colored piece. I applied two coats of clear wax and didn’t use nearly as much wax as I did paint. A little bit goes a long way! ASCP adhered easily to the tabletop with no prior sanding or priming needed. I have used this paint on several other furniture pieces and adhesion has never been an issue. The ASCP wax has been a bit more difficult to use (for me), but adhesion has never been a problem. Americana Decor paint also adhered perfectly to my furniture pieces, with no sanding or priming needed. My tabletops had a glossy original finish, and the paint had no problem sticking to them. The clear wax also had wonderful adhesion. ASCP sands/distresses nicely. A bit more dust produced in comparison to the Americana Decor paint, but not necessarily an issue. While I didn’t exactly distress my pieces, I did sand some of the brush strokes off of the pieces I painted with Americana Decor paint, to get a smoother look. I must say, sanding was not at all a problem, and, as I mentioned previously, less dust was produced than when sanding the ASCP. ASCP paint has an amazingly fast dry time! 10-15 minutes, per coat. The wax dries just as fast as the paint. Keep in mind that I live in a dry, arid desert. I have heard that it may take a tiny bit longer to dry in wetter climates. Americana Decor paint dries in about the same amount of time as the ASCP, 10 – 15 minutes (my experience). The wax also dries in about 15-20 minutes. ASCP paint cleans up well with soap and water. After using the ASCP wax on previous projects, I cleaned my brush with mineral spirits. Americana Decor paint also cleans up easily with soap and water. My brushes came clean without a problem. The wax was a little bit harder to clean out of my brushes, but again, mineral spirits did the trick. I then used a disposable rag for applying subsequent coats, avoiding the cleaning issue completely (no cleaning required). ASCP – Incredibly durable. I have pieces I painted two years ago that get heavy use, and they have held up just fine. Americana Decor paint/wax- I haven’t had enough time to really test this paint/wax out. My tables have just been completed so I cannot honestly claim to know the answer to this one. I will update this post in a few months. So, in summary, I love both paints! 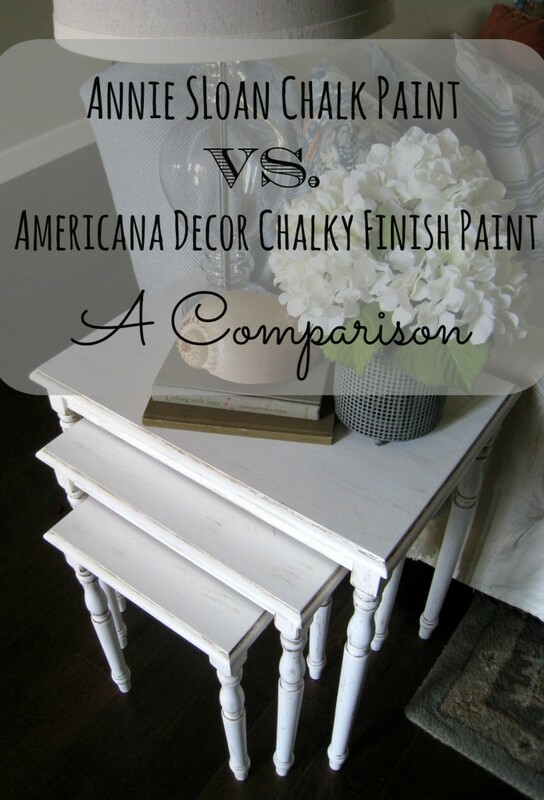 ASCP has been my go-to chalk paint, but the Americana Decor paint was quite impressive, too! I would say that the paints themselves are evenly tied in all of the above listed categories except “Availability” and “Price”. Americana Decor paint is easily available, and less expensive, and that earns major points in my opinion! When inspiration strikes, I like the fact that I can drive 5 minutes and pick up my paint, any time of day, any day of the week. And the waxes? I’m sorry, Anne, but I’m going with the Americana Decor wax. It’s so easy to use and no special brushes are required to get a quality looking finish. I didn’t need any special technique to apply it, and that makes this casual painter happy! So there you have it. 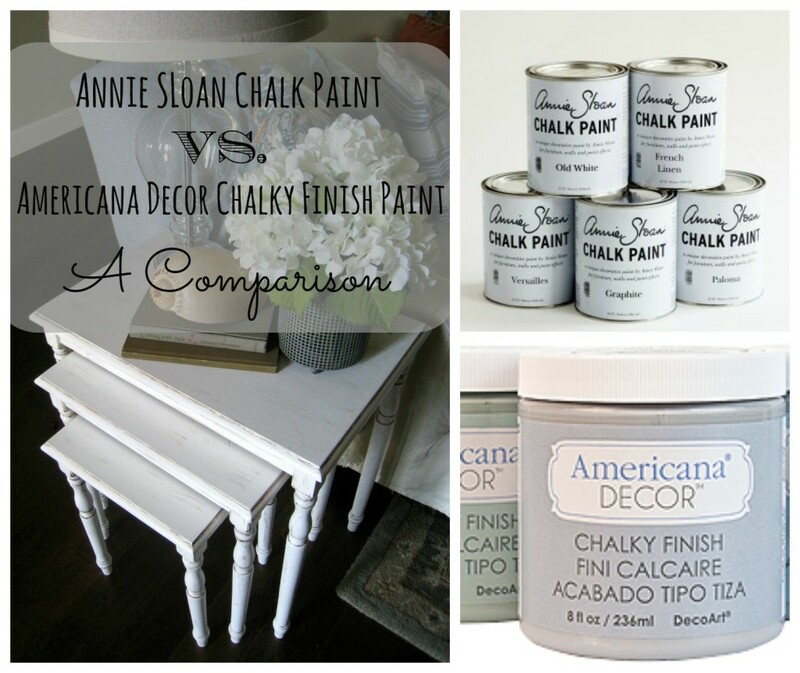 My comparison between Annie Sloan Chalk Paint and Americana Decor Chalky Finish Paint (and waxes, too!) I hope you found it useful. Please let me know if you have any questions regarding my experience with these paints. I would also love to hear your opinions and experiences – please leave me a comment below! I bought 3 pots of Americana, but haven’t used it so far so really appreciated your analysis of the product. I avoid waxing but now will buy some Americana and use the rag. Thanks for this post, you’ve really helped me out of my waxing trauma! I’m so glad to hear this was helpful for you! This paint is definitely my new favorite. And the wax is so much easier to work with! Have fun with your paint project, I would love to hear how it turns out! Thanks so much..this was very helpful! I did find a Dutch Boy Chalky Finish ($19.95/quart) at Menards…that the can tint to ANY color. They had to scan a flat paint to make their computer make the color for me. There were two different ones a white base “A” that could be tinted and a base “D” that had to be tinted. The guy said it dependedicated which base would need to be used. Love the review of these products Amy and since I’ve actually had the privilege of seeing the finished tables I can testify to the fact that they came out beautifully. I will definitely have to give this a try and I’m sure I’ll be calling you for more tips, hey maybe even a shopping trip to get the paint with me? Hum while I’m thinking a trip to find something great to paint too for my house as well. Thank you so much for your sweet comments, Kate! I’m glad you liked the tables, your opinion means a lot to me. Just let me know when your ready to pick out some paint and a project – we’ll go shopping, then knock out that project! 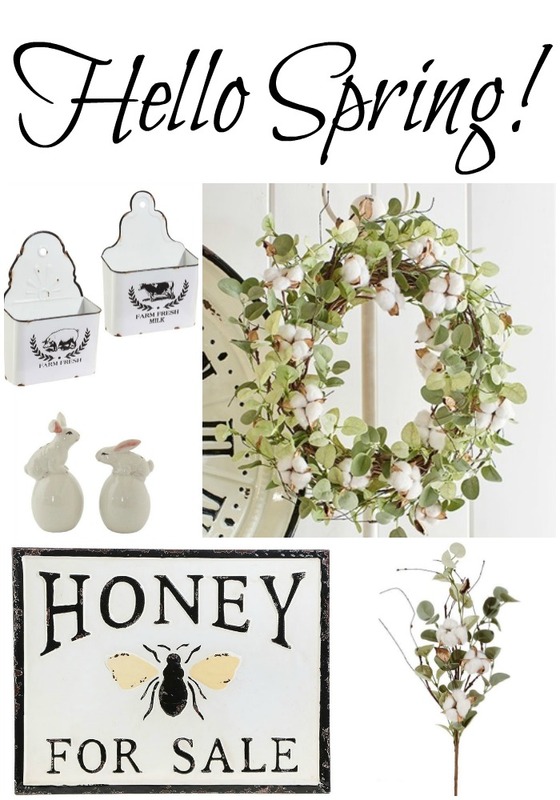 I’m excited about helping you decorate your new place! I have bought one of the Americana chalk paints, but haven’t had a chance to try. This post was very helpful to this casual painter!! I bought mine at Michael’s and didn’t realize you can buy at so many stores……but Michael’s, Joann’s and Hobby Lobby you can use a coupon to buy your paint and wax with, making them an even better value!! I already had a project ready to try my paint on tomorrow……I’m looking even more forward to it!! Thanks! I’m so glad you found this post helpful, Stacey! Excellent point about the coupons, wish I would have thought to mention that in my post! The extra discount definitely makes this paint more attractive! I think you’ll be happy with the coverage and quality. I’d love to hear how your project turns out – keep me updated? Thank you for visiting my blog, and leaving such a kind comment. Thank you so much for this!! I have been avoiding ASCP because of the price and the fear of messing it up. So happy to hear of another product that seems to be comparable to the higher priced ones. I recently found a chalk paint by Plaid called FolkArt Home Décor at Joann’s. It is very nice paint, costing $7.99 for 8 oz. With JoAnn’s 40% off coupons, it is a deal! 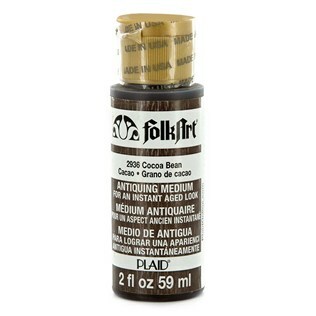 I saw the Folk Art paint on my last trip to Joann’s – there were a couple of colors I had my eye on – I’ll be trying them out on my next project! I’m glad that you found this post useful; boutique paints can be a big investment and I was happy to find a cheaper alternative (especially so when using a coupon)! 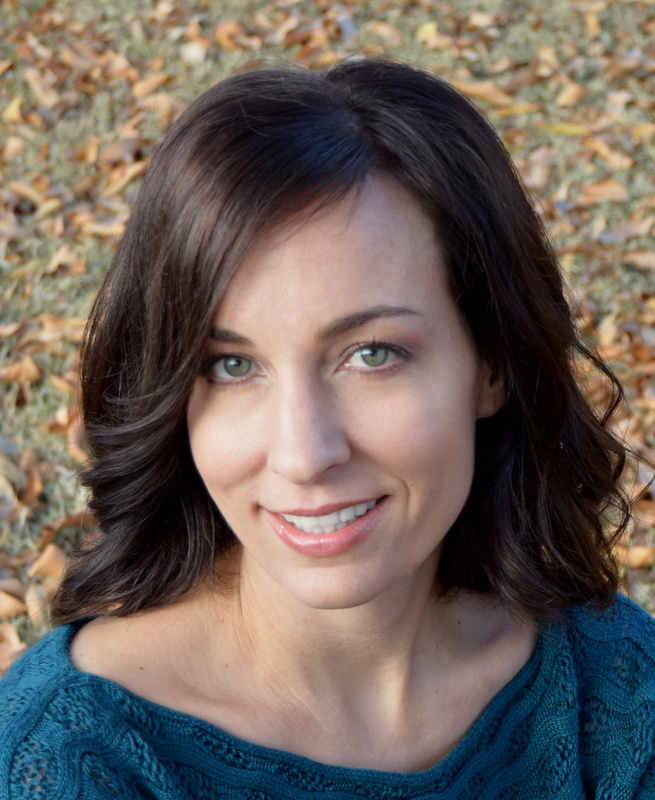 I’d love to hear how your project turns out, AnnMarie. Thank you so much for stopping by! Loved this complete and thorough comparison. I haven’t used any chalk paint but was curious about it as I’ve seen so many beautiful projects using it lately. So when I so your link on Funday Monday I had to come over and get the scoop. Great job and thank you. Your so welcome, Patti! Hopefully this post has encouraged you to take the plunge and paint something – this paint makes it an affordable investment (I promise I’m not getting paid to say this)! I’m so glad you stopped by! Thanks for the great comparison, I’ve only used ASCP, but it’s great to know about another alternative as the stockist near me isn’t close either. Btw, your tables look awesome! Thank you, Pam – I’m glad you found this post helpful! So nice to have an alternative! Also, Joannes and Michaels have 40% off coupons you can utilize, making this paint an even better value! That was great info! Thank you. I love Annie Sloan, but am also looking for other alternatives…especially if they may come in a different color. Thanks for sharing this at our Twirl and Take a Bow Party….hope to see you again next week! Thanks for the heads up on the Americana Décor Chalk paint. I have purchased three shades and the clear wax, although have not used it yet as I am waiting for the cooler weather before beginning any projects. The closest Annie Sloane dealer to me is over three hours away, so this new paint readily available in my immediate area, is a no-brainer. The one caveat that I foresee, is that up here in Canada, there is a finite array of colours (maybe nine or ten)…..unsure about the U.S. I think you will really like the clear wax, Phyllis! It’s easy to use and such a value for the money. Bummer you can’t find as many colors up there in Canada; have you checked out Americana’s website? You can order from there and have it shipped to your door. Good luck on your future projects! Just a suggestion on the Annie Sloan Dark Wax, my local stockist actually MIXES the dark and clear together. Because it’s a soft wax, it will mix together very easily and goes on furniture much more smoothly and evenly. Annie Sloan instructs people to apply a coat of clear wax and then on top of that a coat of the dark, but I have seen that it is much more streaky (which may or may not be the look you’re going for) rather than an even aged look. It’s also easier to apply, only requiring one step and you have total control of how much dark you want to mix with the clear. I tend to do a 30% dark to 70% clear mix but you could alter that depending on the piece and you’re taste! Super easy. Also, thanks for sharing this post! I like to try other alternatives even though I absolutely love ASCP. 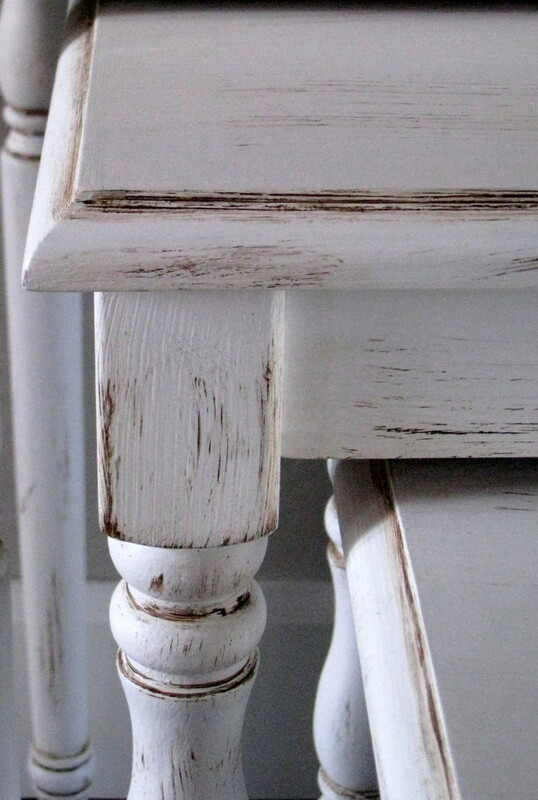 I’ve tried DIY chalk paint and have not been pleased, so I intend on trying this Americana paint and I can’t wait! I think you’ll really like this paint, Kianna! It’s so easy to use, and has a wonderful look to it. I appreciate you sharing your knowledge and experience with the waxes, I have not yet tried mixing them together – but I will now! Good luck with your project, I’d love to hear how it turns out! Great information. Thank you. I was hoping Americana was as good as AS because it is readily available and AS is not. Thanks! It’s good stuff, I think you’ll like it! Very helpful, thanks! I’ve been wanting to try chalk paint but balked at the price of ASCP. I was sad that Home Depot here in Canada doesn’t sell the Americana, but I happened upon it at Walmart this evening! I’ll be purchasing the paint and clear wax for a few of my projects. Thanks again! You’re so welcome, Bridget! I’m glad you were able to find Americana at Walmart (even MORE affordable)! Good luck with your projects and thank you for stopping by! I so appreciated your comparison. I was scared to try any thing other than Annie Sloan, but after reading your blog I am definately going to give it a try. I have a dresser at home begging to be painted. Michaels, here I come with my coupon! I’m so happy that you found this post useful! I really think you’ll like Americana – its a great paint! Best wishes on your project! 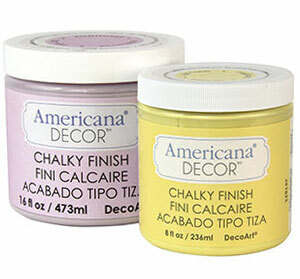 i love the Americana Decor chalk paints and use it all the time for my projects. You would not have any brush marks on your furniture if you use a roller instead of a brush. Try it, it works wonderful. Thank you so much for the tip! I’ll definitely give that a try! So sorry for the late reply! I have mixed the two – using the Annie Sloan paint and the American wax. They worked just fine together! Annie Sloan says that her paints are specially designed to work with her waxes, but the American wax worked perfectly, as well. Hope this helps! Being a “newbie” to the wonderful world of chalk paint, I was a little hesitant to use the Americana Decor because everywhere I turned all I read about was ASCP. But I thought, what the heck, what did I have to lose?! I have a banister in the foyer that just looked TERRIBLE. I chose the Carbon color and used their varnish (for more durability) instead of their wax. Simply AMAZING! I couldn’t be happier with the way it turned out. Great review for a great product! I’m so glad to hear you tried this product, and loved it! I feel the same way! I haven’t used the varnish yet, but I have a couple of projects coming up that would be perfect for the varnish finish – I’ll be updating my “Comparison” post once I try it out. Thank you so much for sharing your experience with this paint; I love to hear feedback! This is a wonderful comparison of these different brands of paint! I’m going to have to try this brand – especially the wax! Thank you so much! I think you’ll really like the wax! Great comparison, Amy!! I haven’t used either yet, to be honest. I’ve used Folk Art’s chalk paint. I actually have some of the Everlasting in Americana sitting waiting for me to paint on a dresser I’m redoing. Can’t wait to try it! Thanks for your honest feedback! Great review! We just bought a container of the Americana chalk paint but haven’t used it yet. We only have one ASCP stockist near us (20 minutes), and I agree the availability of Americana paint is appealing. I’m going to have to pick of a can of their wax to try as well since you liked it! I think you’ll like, Amy! So easy to work with, convenient, and cost effective! Best wishes on your project(s)! Thank you so much for such an informative post. 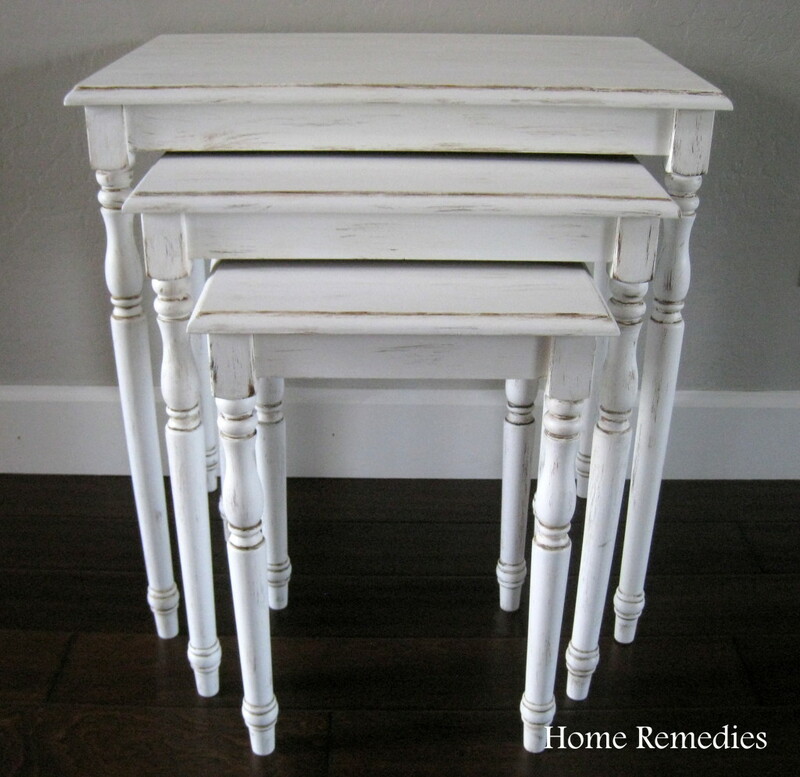 I have used Americana Chalk Paint on several of my projects and it has worked great. 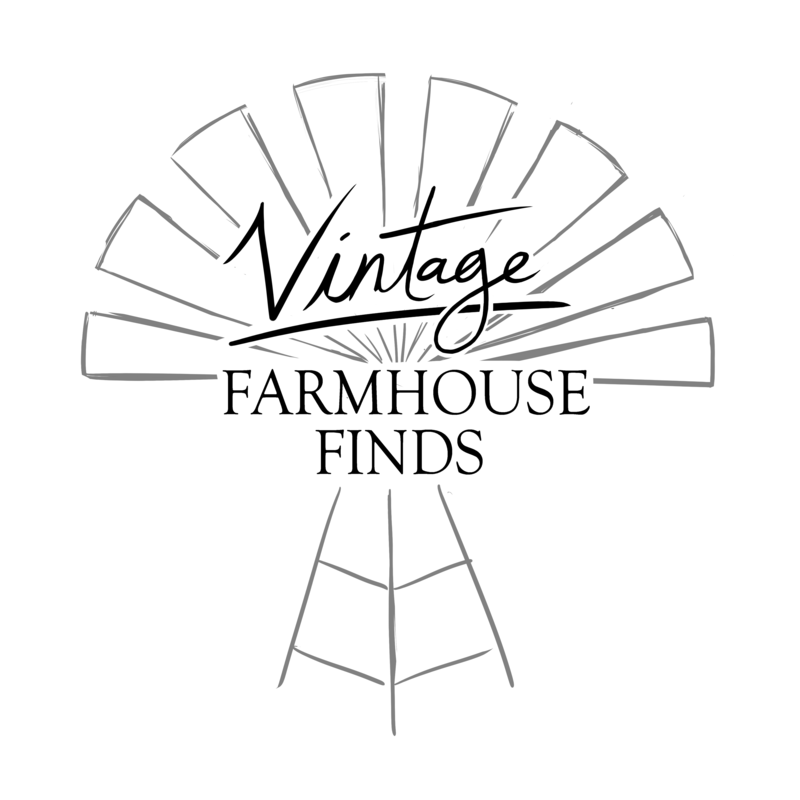 I am refinishing a farmhouse table and I was on the fence. I have never used ASCP and I am due! – but like you said, being that Americana is available at any Home Depot – and I also need to get things done when motivation strikes – , I will give Everlasting a shot. I did not know that you could achieve a shine by buffing the clear wax! Thanks for such a great post and feedback on both brands. I made up my mind! Off to Home Depot ! Yay! I think you’ll really like this paint! Best wishes on your table (sounds like a fun project)! Thanks for a very well-written comparison — I enjoyed all of it. I bought some of this at my local HD, and tried it yesterday. Maybe it was WHAT I was painting, but it didn’t dry for ages! ASCP dries very quickly. The color is great, sort of like Duck Egg. I am painting a ceiling medallion, the thing that goes over the connection for a chandelier. Maybe it was the fact that this material is some kind of styrofoam (I think) rather than wood? I do know that you can paint about any kind of surface with ASCP, and wondered if you had tried this on metal or glass or plastic yet. Oh no! I’m sorry to hear that it took so long for this paint to dry. I honestly haven’t tried it on plastic yet, but the website states that it works on “most plastics”. However, it doesn’t guarantee a drying time. I’ve used this paint on wood and it took only 10-20 minutes to dry. I really appreciated this analysis. I manage the paint section of a small independent craft store and have just received the ADCP. ASCP are only available where I live by mail order, but now I can give my customers a comparison as they have heard of ASCP from the internet. I’m so glad you found this review useful! I’m sure your customers will love this paint just as much as I do! I am getting ready to repaint an old dresser I bought at a garage sale. I am so grateful for your comparison – Home Depot is 5 minutes and Annie Sloan is 30 minutes and not convenient hours. Thank you! you have certainly helped me make my decision. That was the clencher, for me, too! American Decor is much more convenient – and you can’t tell the difference! Love the tables! I have not tried the Annie Sloan paint yet but I cannot justify buying a lot of paint at one time, nor to I want to have to put all the cash into paint. 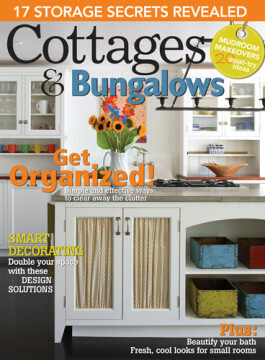 I have used both Americana and Folkart brands and find them very easy to work with and good results. With Folkart brand, you get more for the money and I like their “white wax” which is great if you want a white over coating on paint which is colored. It gives it a softness that I really like. If you get a chance to use the Folkart brand, I would love to hear your comparison on that too. Great suggestions, Sandy! I have not yet used the Folk Art paint, but would like to! I haven’t tried the white wax yet either. I’m putting this on my next project list, for sure! Just came across this post and I am so thankful for it! I’ve used ASCP many times and have liked it. I too found the waxes hard to use. First time I used a brush to apply and got WAY too much. Using the rags with the wax seemed to be better but I still haven’t gotten the antique look down. Just curious to see how the AD has held up now that some time has passed. I’m considering buying some for a TV stand I’m working on. Hi Sarah, I’m so glad you stopped by! The Americana Decor paint has held up beautifully! I’ve had no negative issues with it at all. I definitely still recommend it! This is one of the better comparison reviews of the two brands that I’ve seen so far! And I’ve read a lot of them trying to figure out what the best wax for my desk project is. I think I’ll definitely go with Americana now. I have a couple of questions for you though. 1) If I don’t want a distressed look, can I still sand out the last coat of chalk paint I have on? I’d like it to be smoother, but I don’t want to see the old layer of paint on underneath. 2) Do you think using two coats of the Americana wax would be any different than using one coat? It seems like the AS wax is better at giving a creamy look while the Americana wax mostly provides a good seal and can be buffed to be shiny, but has a “thinner” look. I wonder if two coats will help it have the same velvety creamy look of AS wax? I went to the home depot to buy some Americana chalk paint and they said there is a product recall. Do you know anything about this? No, I hadn’t heard anything about a product recall, I’ll have to do some investigating! Thank you for posting a perfect review on this product,you were very thorough and gave answers to all the questions rolling around in my head as I left Home Depot with my paint.I just picked up my first jars of Americana Chalk Paint for the exact reason you gave here….cheaper! I am so happy you gave such a review as this.I cannot wait to start painting my cupboard now~I was also happy to know that I’m not the only one who has ‘sweat pants’ for painting! How exciting! I’m so glad you enjoyed my review – I think you’ll really like this paint! Best wishes on your project! I began researching antiquing/painting an old desk and found out about chalk painting. I still had many questions after reading other blogs and watching YouTube videos. However, all my questions have been answered in your post. Thank you for saving me time and money. I feel confident to tackle my project because of you. I’m bookmarking your page. Yours is a keeper! Thank you so much Jeanine! I’m glad I could help! Thanks for such a thorough review of the Americana chalk paints. I too love ASCP but price and availability are sometimes a problem. I have tried my own DIY chalk paint with some success but wanted to hear how Americana compared to Annie Sloan Chalk Paint. I just bought some from my local Home Depot but they had a very small selection of colors. I will try it on a small item. Thanks for all the details in your analysis!! Your welcome! So glad you found this review helpful! Best wishes on your project! This was such an informative review. I have been “processing” and “contemplating” on which brand of chalk paint to use for some time. I am heading to HD, Lowes, Michaels and/or JoAnne’s tomorrow…they are all so close. Tomorrow is Sunday and as you said that is when motivation often happens. I have a long list of projects that I would like to tackle and if this product works…well, so many doors are now open to creativity! 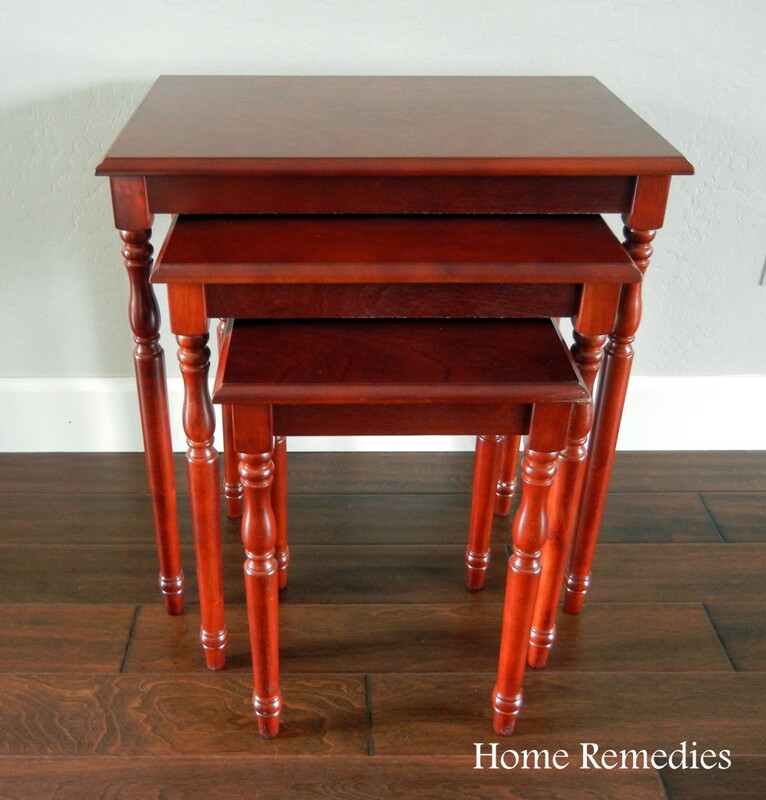 I am going to start with a drop leave table I found yesterday at a yard sale… wish me luck! Thank you again! I think you’ll be very happy with the Americana Paint and Wax – they work great! Best wishes with your project! thank you for the review. I’m just learning about chalk paint and you really gave great info. My question is have you ever heard of this new product called Chalky Company. It’s a paint powder that you add to any latex paint and it turns it into a chalk paint. I’m also confused about using wax, do you have to use wax on all projects or use a sealer. Thanks for the help. I wished you offered training classes. Thanks bunches. Thank you Theresa! I haven’t heard of the powder chalkpaint, but I’ll have to look into it now. The wax is your best choice for use with chalkpaint as its specifically designed to work together to form the best possible seal. I hope that helps! I read your review, very nice for the novices. and for those of us who are experienced as well. I am an experienced furniture painter, I started painting before all these great products were on the market. I made my own glazes, experimented with gold leafing and antiquing. When ASCP came on the market I jumped on it and started using it and teaching others how to use it with the waxes. I totally agree with you I have used the ASCP waxes and they are so much work, since then I have also used Amy Howard paints and waxes as well as all her other products, I like the ASCP paint much better, but I like the waxes from Amy Howard. I am happy to see a lower priced line of chalk paint especially for smaller projects, I will have to check them out. In closing I do love the colors of ASCP THE BEST. Thanks for your great detailed review and comparison points. Thanks for this information on this other alternative to ASCP. Like many others it’s very inconvenient to get ASCP where I live, would have to have it shipped and it’s just not affordable. I must confess I’ve been working with a number of old pieces of furniture using the DIY chalk recipies because I have an abundance of beautiful latex paints and don’t want to waste it. On the other hand on better furniture I am going to invest in the Americana. When you want more assurance your project is going to turn out, that seems to be the best approach. One thing I am finding works really well is mixing 1/4 plaster of paris powder to 3/4 ratio of paint. I first mix the plaster of paris in warm water (about 1/4 cup water and really mix it well. If too thick, add a bit more water. Then add the paint and again, mixing well. It covers beautifully and after light sanding the waxing methods with clear or dark is turning out very nicely. I’m on a tight budget and most of the projects with homemade concoction are just really pretty. Again, if one is looking for a truly professional finish I’d use the commercial brands. So if you have extra paint left over and some plaster of paris….give it a try and you might be surprised what an artist you can become, and stay on a budget! Last note….I don’t think this homemade stuff in any way would match the adhesion on things like plastic or glass, probably best for wood projects. Hello! I’m a newbie and was searching for reviews for the Americana paint and came across your review. It has definitely helped me make my choice between making my own chalk paint, buying ASCP, or the Americana. I’ll be going with the Americana. I do have a question in regards to the glazing versus waxing. I’m redoing an old bed frame and I’m into the primitive distressed look. Would it be better to do a glaze over the edges or distress it and use the dark wax? And if I use the glaze, do I go over it with the clear wax or should I use a poly? Thanks!!!!! I just took a class yesterday to learn how to Chalk Paint furniture. I catch on fast and thought I could figure this one out myself but on second guessing myself decided to take a class. Which in the end I should have just went with my gut. It’s really easy and not messy at all. I did work with the Annie Sloan paint and soft wax and found the waxing to be a technique that I would master over time and doing more chalk painting. I did however like my end result. But I often wondered about the differences between Annies and Americana other than the prices. I have another big project that I am working on and this time I will us the Americana Paint and wax. I’m taking your advice I hope it turns out great. Thanks for the work you did on comparing the two products I appreciate it. Thank you so much for this review. I have a dresser and a Lane trunk I am getting ready to finish with chalk paint. Waiting for the humidity to settle in the northeast. I too have a long drive to purchase the ASCP so your review has me heading to my local Home Depot or Lowes. Thanks again! Tried to purchase paint at Home Depot, but was told there is a recall and they could not sell it to me. So disappointed because nearest vendor for ASCP is about 1.5 hrs. Away. I have also read your comparison and found it informative considering i work a Home Depot. Please let me know how it performs with fabrics/upholstered furniture. I know that the ASCP works well with upholstered pieces, but like you it would take me more than 30 minutes to reach a nearby supplier. Looking to paint an upholstered(faux leather) ottoman. 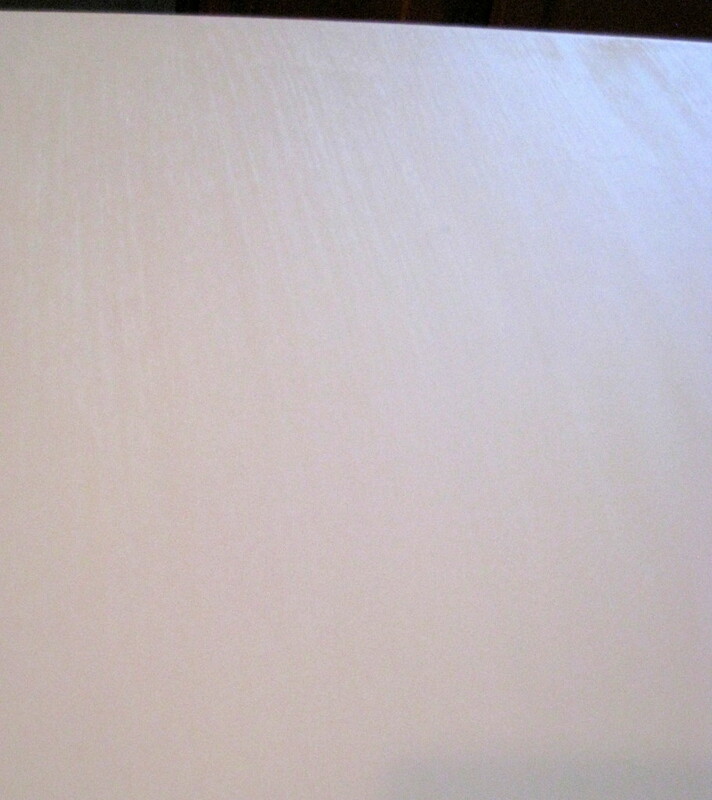 I recently painted a faux leather bench with this paint and it worked quite well! I sealed it with the wax and it’s holding up perfectly! Good luck with your project! I think American Decor would work perfectly on a brass chandelier. I’ve never actually tried it, but it has worked well for me on other types of metal. I would just make sure the surface is clean, and also make sure to seal it with wax after painting. Good luck! I just recently found Americana Décor and painted my first two pieces this past weekend. I love it! Thank you for sharing your comparison as ASCP isn’t always as accessible, especially at those times you have the urge to do a project! I may have missed this, but I was able to thin the AD paint with water after the first thick coat and it went on beautifully. Knowing this, I would start with the paint thinned with the first coat, especially if I’ll have to do subsequent coats. Thanks again!! Great idea, Lindsay! Thank you for your feedback! Great reviews of these products. I have a specific question about using chalk paint on fabric. Is there on your recommend more than another for that? Also, any special tips on application? Hi Andrea, to be honest I’ve had limited experience with using chalk paint on fabric ( I have used it on a vinyl-type fabric, so the paint worked quite well)! I have read (in other CP reviews), that to get the best result you should mix the paint with a fabric medium and apply several “light” coats, allowing to dry between coats. I’m sure most of the major brands are comparable in quality; it just depends on how much money you are willing to spend, especially if its a big project. Hope this helps! Hi, did you sand your tables first before applying the first coat of paint itself? I didn’t read through all the comments, so sorry if you’ve already answered this question. I’ve got 3 tables exactly like yours and would like to do the same thing on mine. I know you sanded it before you applied the wax, but wasn’t sure about sanding at the beginning. Thanks! Hi Lucy! No, I didn’t sand before painting. 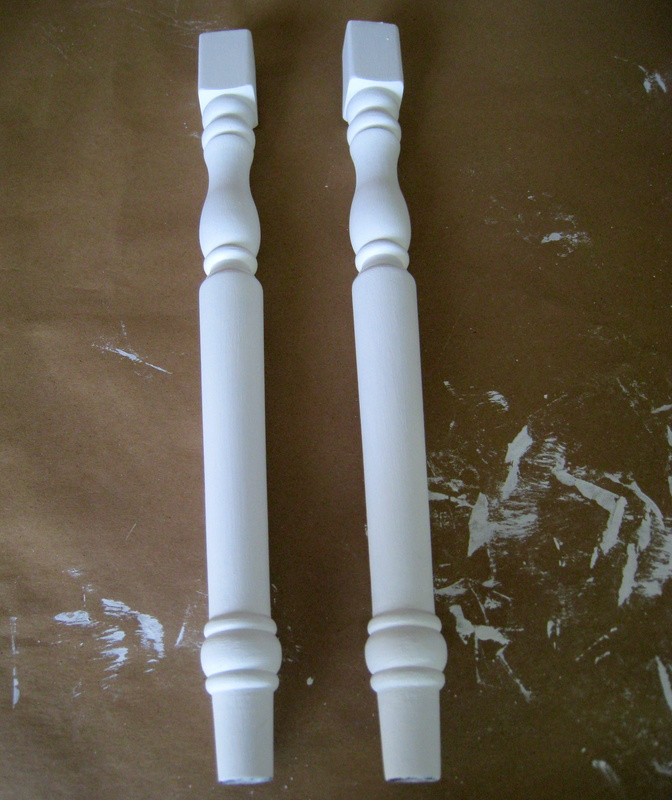 Part of the beauty of chalkpaint is that you don’t have to do much prep (including sanding), before you paint! Have I mentioned how much I love this stuff? Thanks for replying. That’s great, I like as little prep work as possible. lol! I’m going to give it a try! I’m trying to find chalk paint for our baby’s nursery. The AS website specifically mentioned the paint being non toxic and safe to use during pregnancy. However, I can’t find any info on the safety of Americana Decor. Any ideas on if they have the same ingredients/ chemical make up? Hope that helps! And congrats on your new baby! Hello! I have a stone fireplace built in the 80′s that needs updating. I’ve seen several sites and a couple of YouTube videos on using chalk paint diluted in water to lighten the stone and take the orange tones out. What are your thoughts on this? I’ve also seen this idea, but have never tried it myself. I don’t see why it wouldn’t work, but I would definitely do some practice pieces before committing to it. Good luck! Have you tried the ‘folk art’ chalk paint and wax from Joannes? Should I be safe to use it on my first project?